Nancy Jean Metz, daughter of Earl and Jean (Johnson) Warner was born Feb. 11, 1929 in Augusta. She was raised in the city of Augusta and graduated from Augusta High School in 1946. Nancy was united in marriage to William Metz Jr. on April 3, 1949 at St. Paul’s Lutheran Church in Augusta. The couple lived briefly in Chicago and St. Paul before moving back to Augusta in 1951. In addition to raising her 3 daughters and working along side her husband at Metz’s T.V. Sales and Services, Nancy had also worked at Delicious Foods in Eau Claire and then in the book store of the University of Wisconsin - Eau Claire. 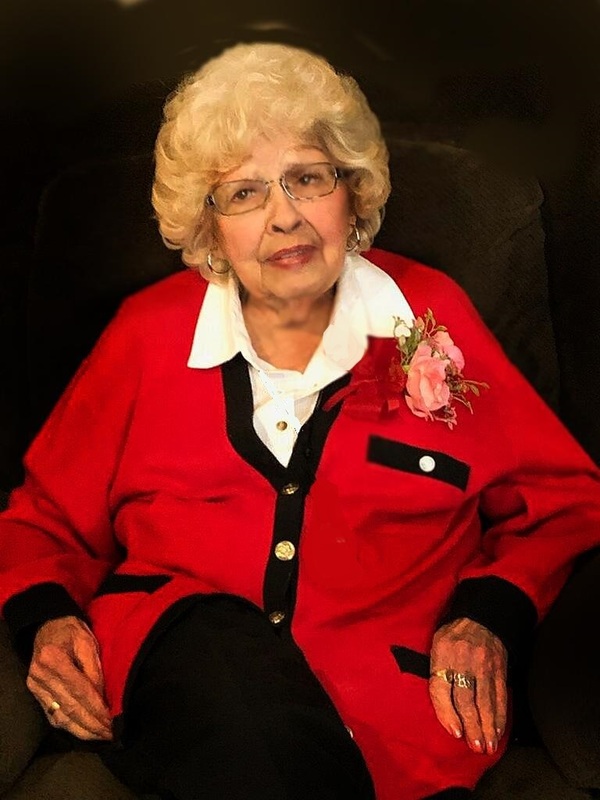 Later in life with the Eau Claire County Senior Aid Program she brightened the lives of children by working in the elementary school for the Augusta School District. Before finally retiring she enjoyed working at the Augusta City Library and the friendships she made there. Nancy was a beautiful lady both inside and out who deeply loved her family, cherished her friendships and appreciated all the kindness shown her way. She loved visiting on the phone everyday, the beauty of nature’s flowers, reading, and taking care of the various dogs she had over the years. For many years Nancy was a member of the Augusta V.F.W. Auxiliary. Nancy will be dearly and deeply missed by her 2 daughters, Jill and Alan Hewitt, Joy and Kevin Potter all of Eau Claire; 5 grandchildren, Tara Black, Heather (Jim) Sorenson, Danny (Melissa) Metz, Andy Francel, Andrea (Randy) Duncan; 22 great grandchildren, Tyler, Tim, Nathan and Olivia Black, Molly and Megan Walker, Ava, Kyle, Kyra, Drew, Dylan, Travis and Tanner Sorenson, Kate Berlin, Dominic and Tyler Walters, Bryce Metz, Carly Jones, Kaya Francel, Isaac and Ivie Joy Beaver, Brody Duncan; great-great grandson, Jesse Walters; brother Gary and Margie Warner of Downingtown, PA; sister Shirley Smith of Geraldine, MT; sister-in-law, Bessie (Jim) Whalen of Augusta; several nieces, nephews and other relatives. A visitation will be held Friday, April 12, 2019, from 3 to 7 p.m. at the Anderson Funeral Home in Augusta, and from 10 a.m. to 11 a.m. Saturday at St. Paul’s Lutheran Church in Augusta. Funeral services officiated by Pastor Gary Sahs will be at 11 a.m. Saturday at the church with burial in the West Lawn Cemetery in Augusta.